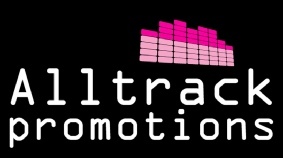 Alltrack Promotions can provide other live acts for your entertainment or event. Our live acts are professional and experienced, each with a history of providing quality professional entertainment to clients throughout the UK. Where PA systems are required for an act they are fully self-contained and all equipment is PAT tested for electrical safety. Some acts are more suitable for an adult audience and some are suitable for everyone so please check with us first to make sure that your chosen act is right for your function. If you are interested in our live acts then please indicate this on our booking form and we will be in touch to discuss this further with you. CALL FREE ON: 0800 024 8658 TODAY! 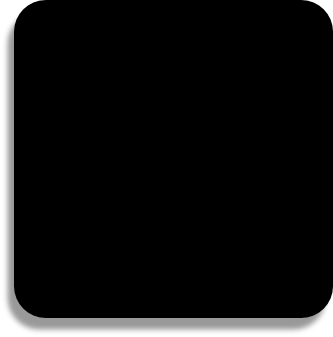 Alan is an award winning member of The Magic Circle based in Lancashire and can add that touch of magic to ensure your event or function is unique. Alan has performed at 100’s of weddings and events and will tailor his magic to suit you and your requirements. Why not add some magic to your wedding, annual dinner, Christmas function, banquet or trade show? As a keen exponent of both close-up and cabaret magic Alan can provide magic for any occasion or setting. Hiring a close up magician is the perfect way to entertain your guests and make your wedding day even more memorable. Ian can help to break the ice between guests at your wedding reception. While you are busy having your photographs taken, Ian will mingle with your friends and family, performing spectacular close up magic that is sure to get people talking! Mr Budgie is a fantastic children’s entertainer and can do magic, balloon modelling and disco. He is able to brilliantly capture the attention of children due to his many years of experience. The romantic and stylish golden harp is perfect for weddings. Especially in a church, its magical sound is sparking and unforgettable. A harp solo beautifully entertains guests whilst the bride and groom sign the register in the vestry. During civil ceremonies it adds grace and dignity. At the reception the harp music can create a relaxing ambience, enhancing the atmosphere without ever being intrusive. Frank plays a wide range of musical styles, from light classical to popular song tunes so there is something for all the guests to enjoy. The instruments include Trumpet, Saxophonist who doubles up with the clarinet, guitar and Double Bass! All very talented different and professional…it is an ideal setting to have these musicians playing at venues with imposing views for a wedding! A sensational vocal entertainer with a hint of comedy too …Perfect for any function as it is good clean humour as well as an excellent singer…very confident performer…excellent quality and very professional….something a bit different. As part of your disco entertainment Alltrack Promotions can provide live acts, such as comedians, magicians to a harpist for your party or event, ensuring enjoyment and increasing your entertainment experience, for a party never to forget. See our other services for what we can provide for your party or event as part of Alltrack Promotions other event services.